We are just over a week away from Eventiques Flea Market and attendees are in for a real treat! 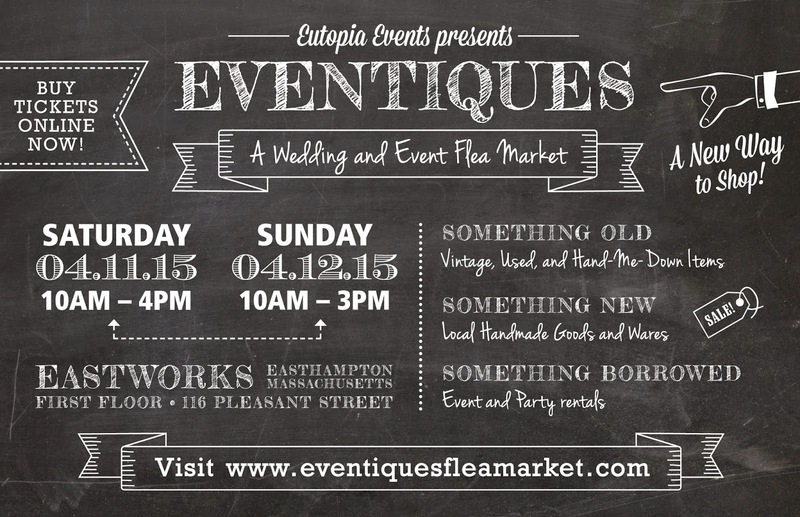 The event is happening on April 11th and 12th at Eastworks in Easthampton, Ma. We are bursting at the seams with items for sale and we have so much space to work with! We have linens, lots and lots of mismatched china, vases, votives, signage, buckets, baskets, cake stands, craft supplies, gift bags and boxes, glassware, mason jars, the list goes on and on and on! To help make everyone's shopping experience a smooth and successful one, we thought it would be useful for us to post some tips and tricks for shopping at Eventiques. 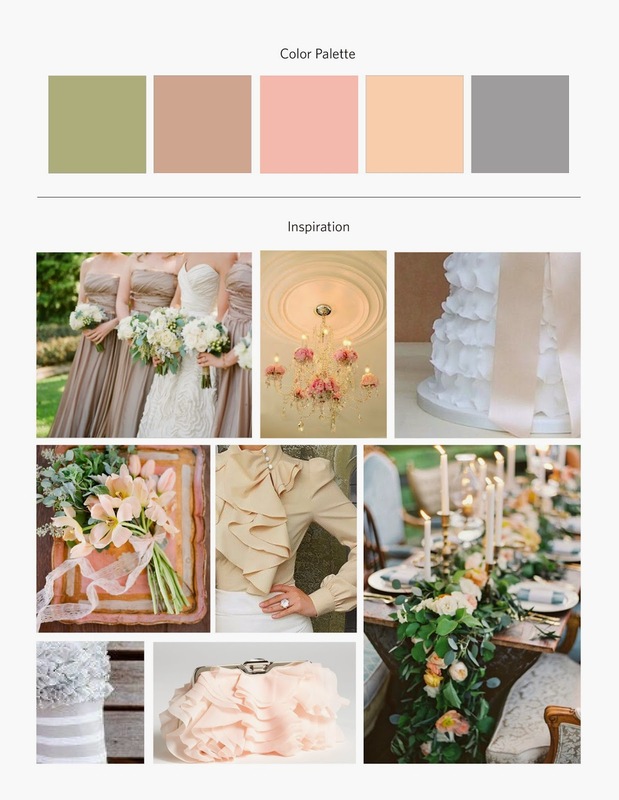 Knowing a bit about your color palette and design ideas is helpful but not necessary. You might come and be inspired by some of the items you see which could influence your purchasing decisions. Make a list of the things you are hoping to find. This will help give you a guide for what it is you need. Keep an open mind as well. Having an idea of the style event you are having will help you in making decisions about what items might be best for your event. Knowing roughly the number of tables you will have will help with buying enough centerpieces, votives, table numbers, etc. Typically, a wedding of about 120 people might have anywhere between 10 to 15 tables depending on whether or not you have 8 or 10 people seated at one table. For those of you planning an event at your home or at a location that requires rentals, you will need linens. Knowing your table dimensions will help you select the right size linen for purchase or for rental. If you can, bring a friend or family member who can help you collect and carry things. There is a lot to look through and you might miss things at first glance. You'll also want an extra set of hands for collecting and carrying items. There will be staff available to assist but we may not be able to help everyone due to the large number of people attending. 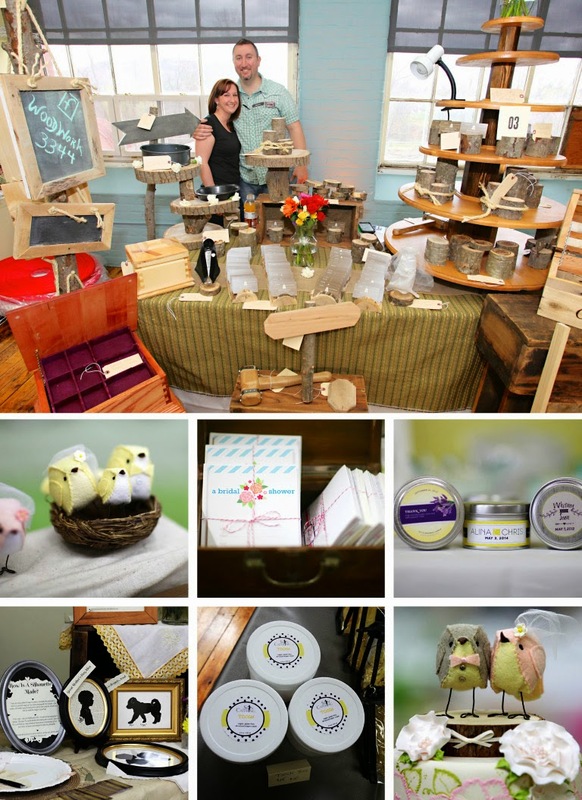 We have so many wonderful merchants participating this year. We know that Eventiques is a huge draw for the used items but you can also find some amazing things with the vendors who are in attendance. Think about what you might want to get for bridesmaid or groomsmen gifts, items for welcome bags, favors for a bridal shower or thank you gifts for after the wedding. Our mission is to bring businesses into the event who produce their goods locally or are sustainable. Planning a wedding takes a lot of time and work, as you know! We have some phenominal sponsors who are participating this year and they really want to help you make your event shine! Take some time to visit with these experts in the industry. This is not your typical expo. We have chosen only the best in the area and they are there to help you. We're going to have a raffle with some great prizes! Be sure to register at the ticket table so that you can enter for a chance to win. Have fun and stay a while! Come with the intention to browse and enjoy the shopping experience! Meet with our designer and talk about ideas for the look of your event. 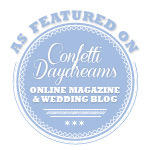 Connect with vendors about lighting, video, photography, cakes, flowers, rentals, etc. Get a coffee, some food, listen to music, or do a DIY project. There will be many things to enjoy! All sales are final. We will not issue refunds for any reason. It is up to you to inspect the item to ensure it is a good fit for you. All items are purchased As Is. We take cash or credit/debit card, no checks. There is a $25 minimum for credit/debit cards. There is an ATM in the Eastworks building so you can get cash if need be. We will be displaying as many items as we can but we may have to keep some overflow of inventory in a storage area onsite. Please be sure to ask an Eventiques Staff person if you are looking for a certain quantity of an item. When checking out, we ask that you kindly be patient with our staff. We have a lot of people working the event but there will be far more customers than staff. Each tag has to be removed to ensure we are accounting for all of the inventory for our consignors. In addition, our staff will want to ensure your newly purchased items are wrapped and/or boxed up so that you can take them with you. We do encourage recycling and reusing which means that bringing your own bags is encouraged and appreciated. We will have bags, boxes and packaging material but reusable bags are great too! You can also review our FAQ on the website for other important details. Our goal and hope is that you all are able to come and have a fun time shopping while also finding some inspiration! We're so excited to host this event again and we hope you will all enjoy your experience. After the event is over, we encourage you to email us with feedback. We will continue to try and make each event even better than the last! Thank you for joining us at Eventiques Flea Market! At one of the Lord Jeffery Inn tasting events, we met Lauren—a fun loving Zumba instructor with an upbeat personality. We were raffling off to one attendee 10 free welcome bags for out-of-town guests. Lauren was our lucky winner! However, she had one special request—instead of the welcome bags, could we create hangover kits for her bridal party? We loved this idea and rolled with it. 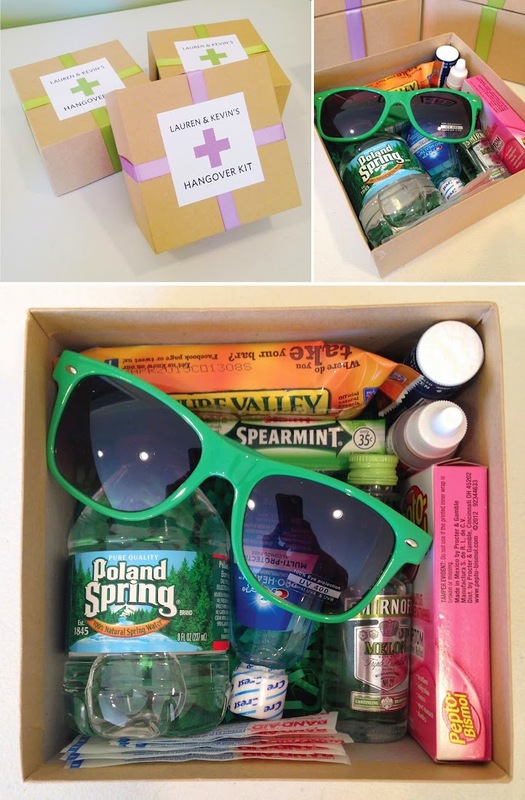 Using her wedding colors of green and purple, we came up with these fun and creative boxed hangover kits as gifts to her wedding party. They all loved them, and appreciated them the next morning! • A nip of Vodka! 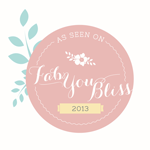 Are you in need of custom designed welcome bags, gifts, or favors for your wedding or event? Contact us and let's get this party started! 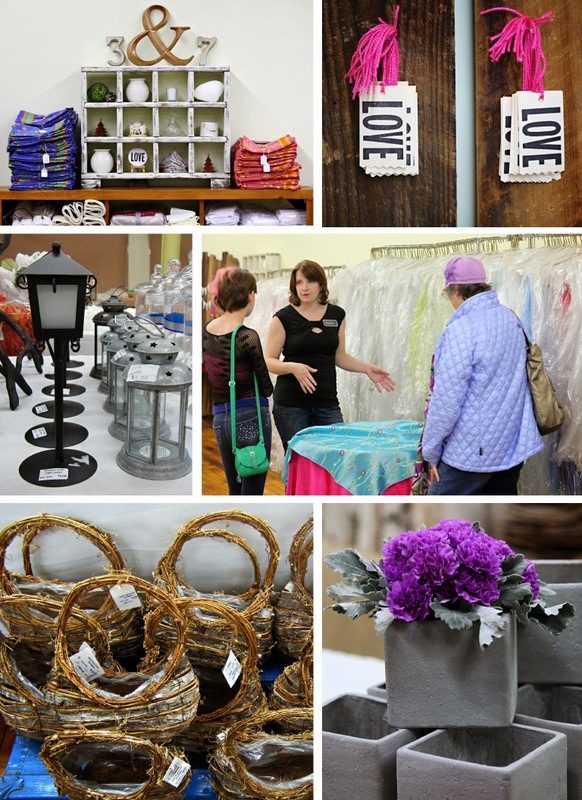 If you couldn't make it to our 2014 Eventiques Flea Market event, you are in luck! 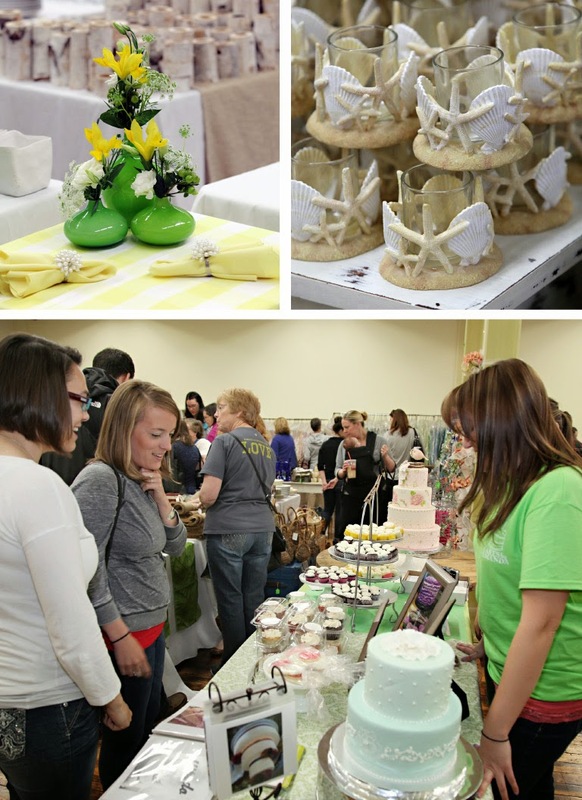 We are hosting another Wedding and Event Flea Market in 2015 on April 11th and 12th. What is this event you ask? 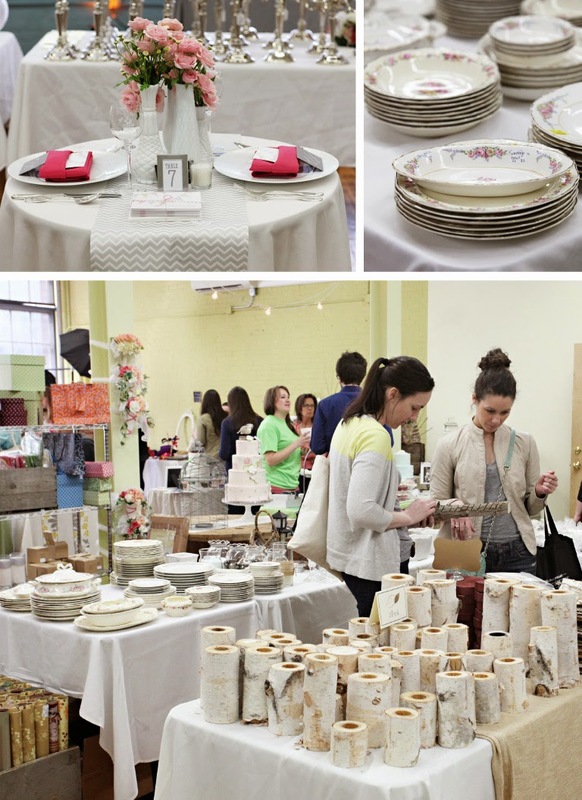 Eventiques wedding and event flea market was founded by Ruthie and Lauren of Eutopia Events and is focused on helping people find decorative elements all in one location! Décor from past events is given new life by being reused or re-purposed for someone else’s wedding, shower, even a birthday party. 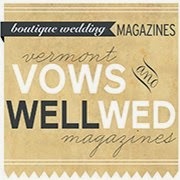 Looking for something old, something new, or something borrowed? 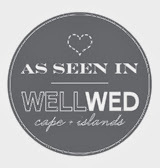 You will find carefully selected, used event décor, vintage goods, wedding gowns, unique rentals, and handmade and locally sourced pieces for your wedding or special celebration. 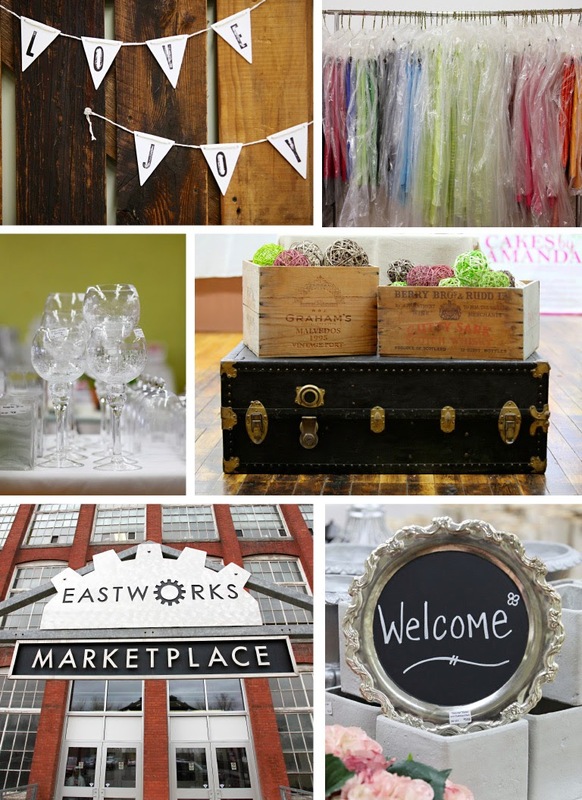 Our last event took place at Eastworks in their events space. 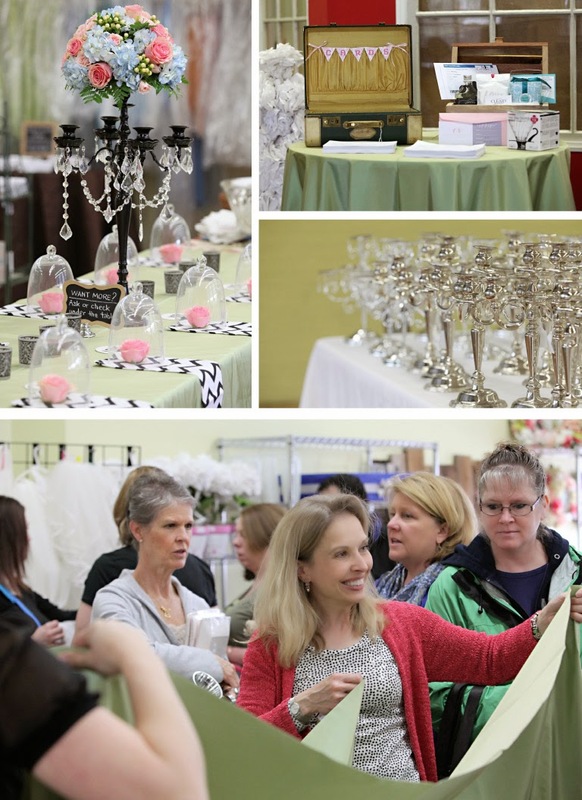 It was a fun-filled day for brides, grooms, event planners, photographers, designers, and people who just loved to shop! Check out some of the photos below from last year's event, photographed by Cronin Hill Photography. Cronin Hill Photography is one of our fabulous sponsors for 2015! 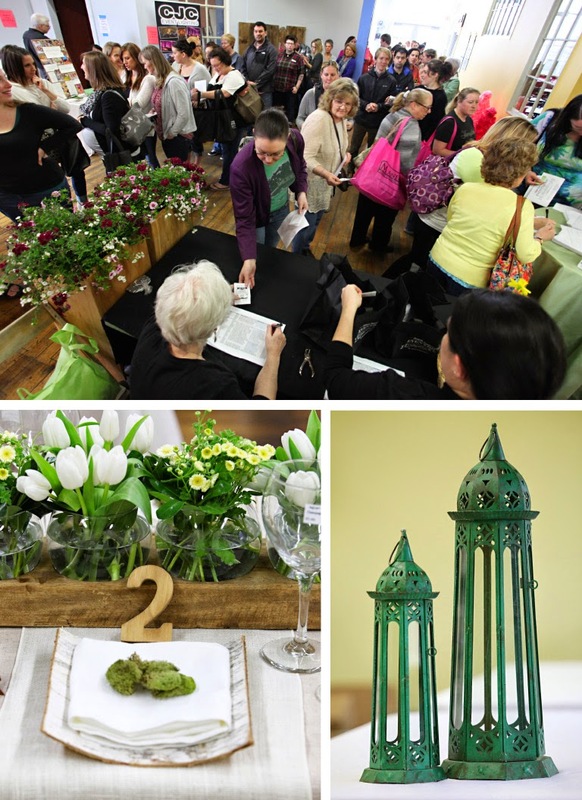 If you are in the market for event items, you can purchase tickets for our Spring event online for only $5. Door tickets will be $8 the weekend of the event. This year's event will be hosted in a much larger space than in 2014. 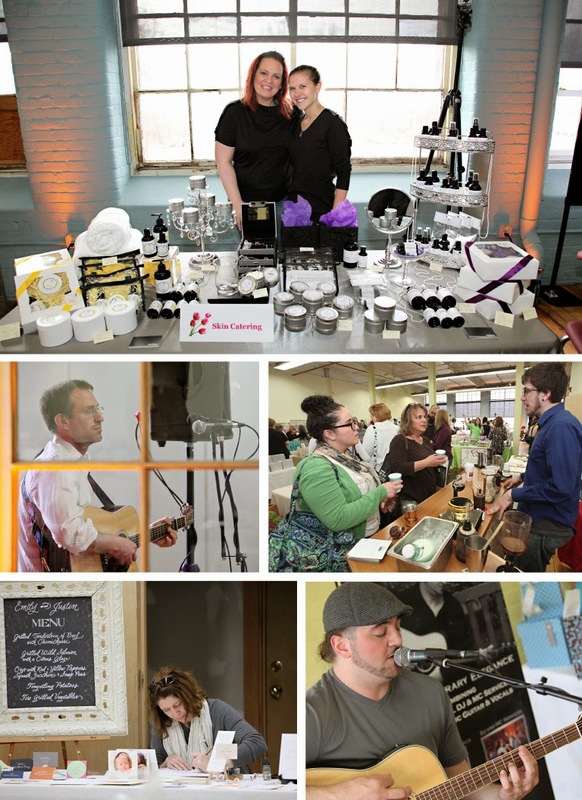 We're very busy working on filling the space with inspiration, event items, local merchants, and much more! 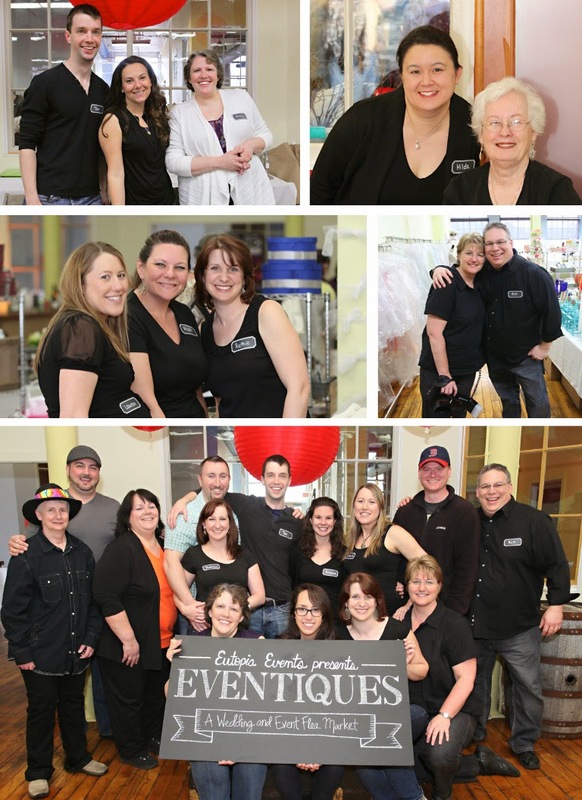 Here are the people who help to bring Eventiques Wedding and Event Flea Market to life. A lot of hard work goes into creating an event like this and we are so fortunate to have some great people on our team. 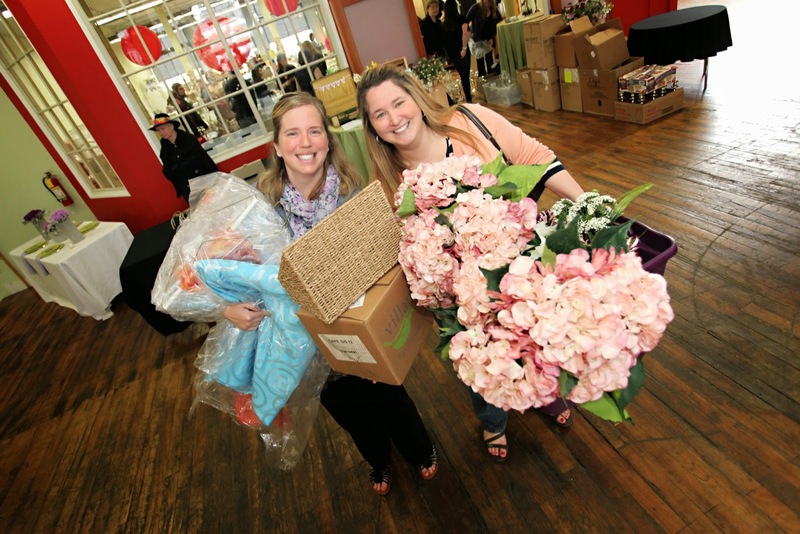 We're looking forward to this year's Eventiques Flea Market! 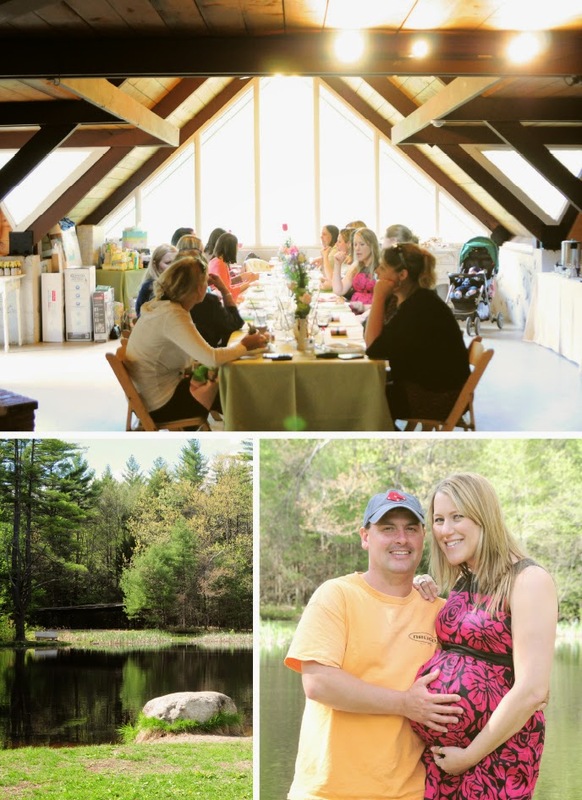 When our very own Lauren was pregnant, expecting her baby in late June, we helped her family host a baby shower in her honor in early May. 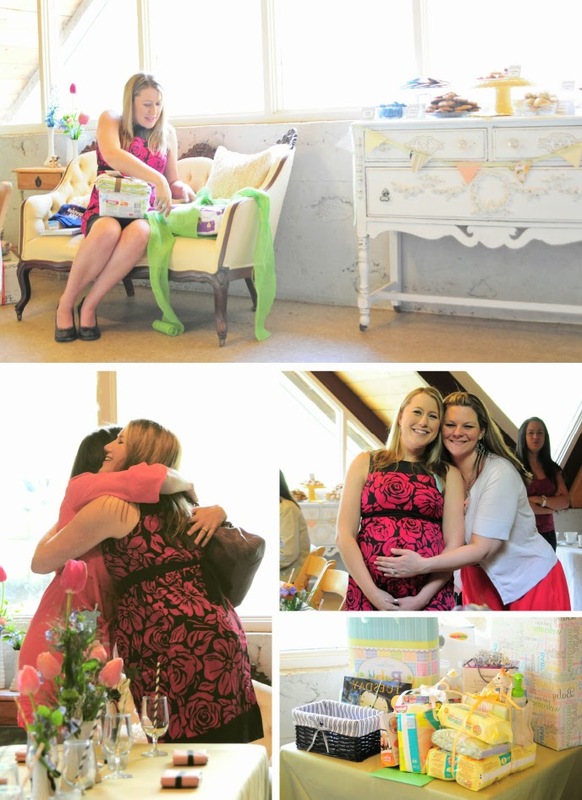 It was so much fun to help put together a shower for her to celebrate her little one! 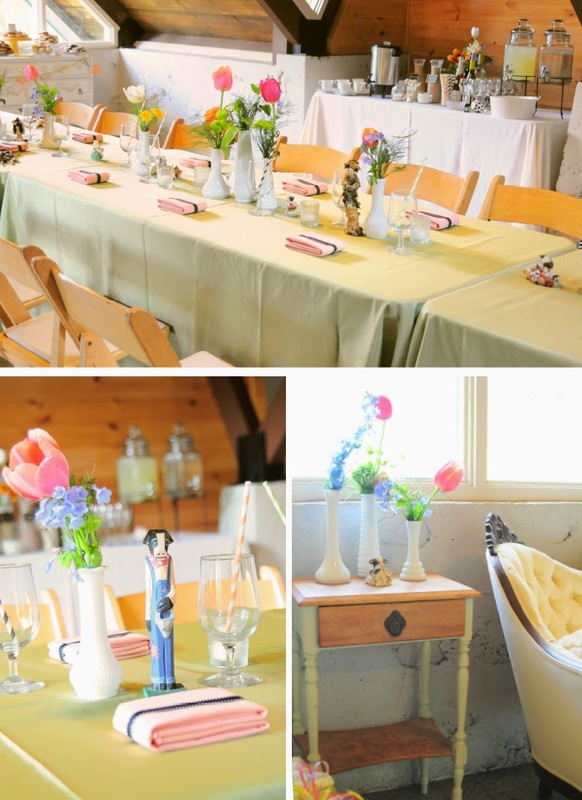 We did a Milk and Cookies theme for this intimate event, including cow figurines that Lauren has been collecting since she was a kid. The shower was hosted in a beautiful location in Holden Mass and the weather couldn't have been more perfect! Lauren and her husband affectionately called the baby Rupert, though they didn't know if they were having a girl or a boy. On June 26th, they welcomed a sweet baby boy into their family and named him Dylan Anthony. He has been such a joyful addition to our Eutopia Events family, we are so incredibly happy for Lauren and her husband! There were a variety of milk flavors available and lots of cookies, of course! 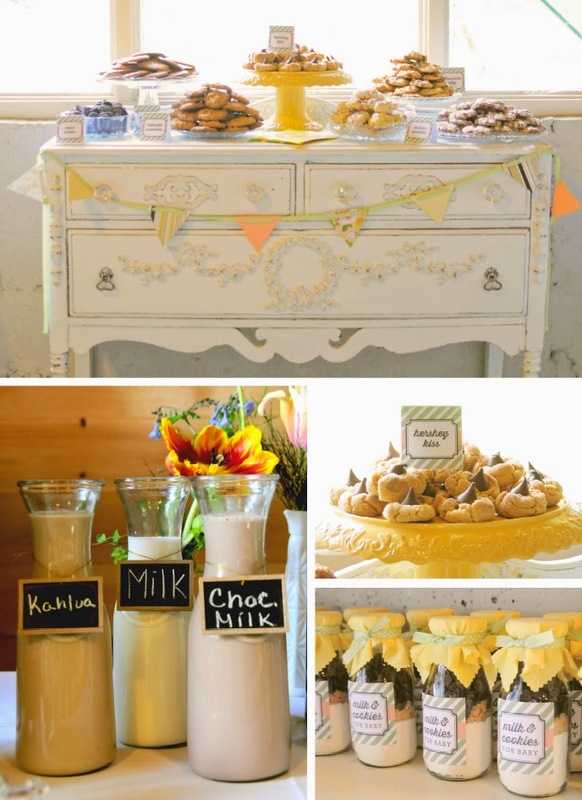 The favors were milk bottles with chocolate chip cookie mix, so guests could make delicious cookies at home. We'll share the tutorial on to make them in another post. 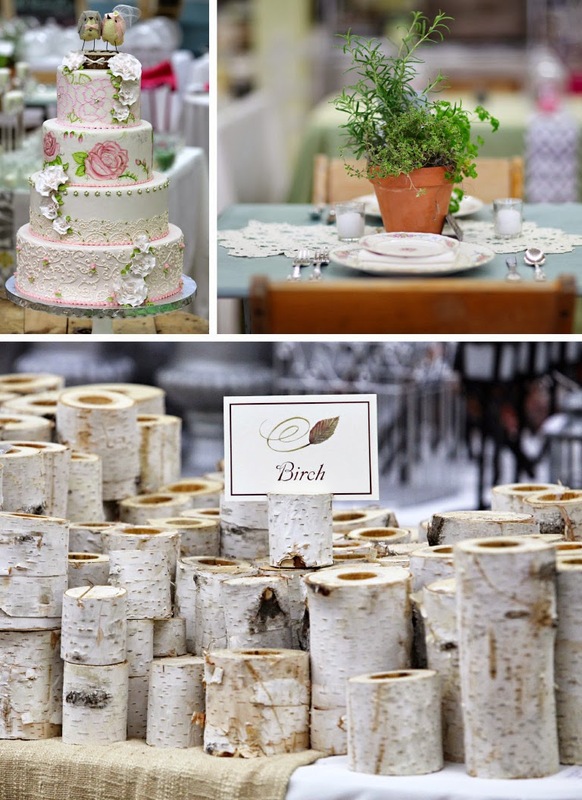 Thanks to Classical Tents and Party Goods for the rentals—natural wood garden chairs, linens, tables and glassware. Thank you also to Fairview Gardens for the flowers and all the people who helped make the shower possible! Planning a wedding while working full-time can be a challenge, especially if you work odd and long hours. It's even harder if you and your partner both have work schedules like that. Add to those work schedules trying to plan a wedding from another state and you have a formula for one thing: needing a wedding planner. 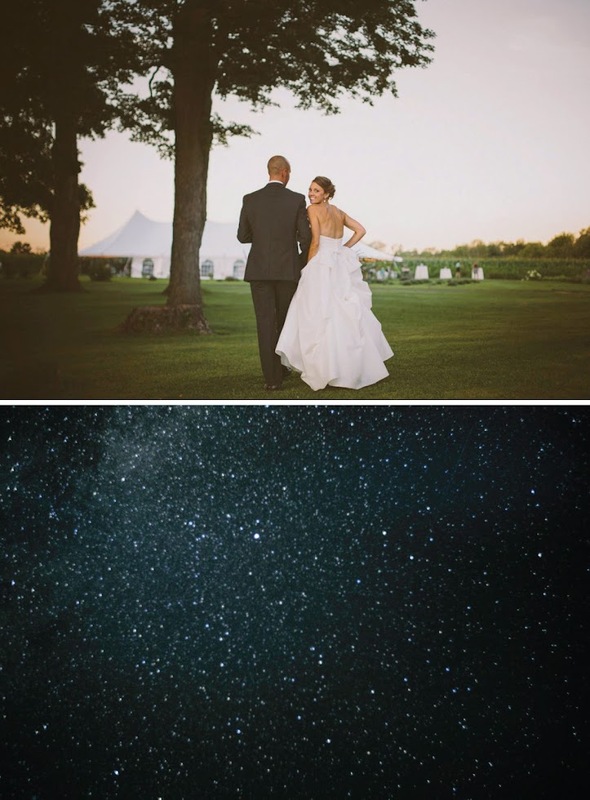 Thank you to Michelle Girard Photography for referring Sarah and Chris to us! 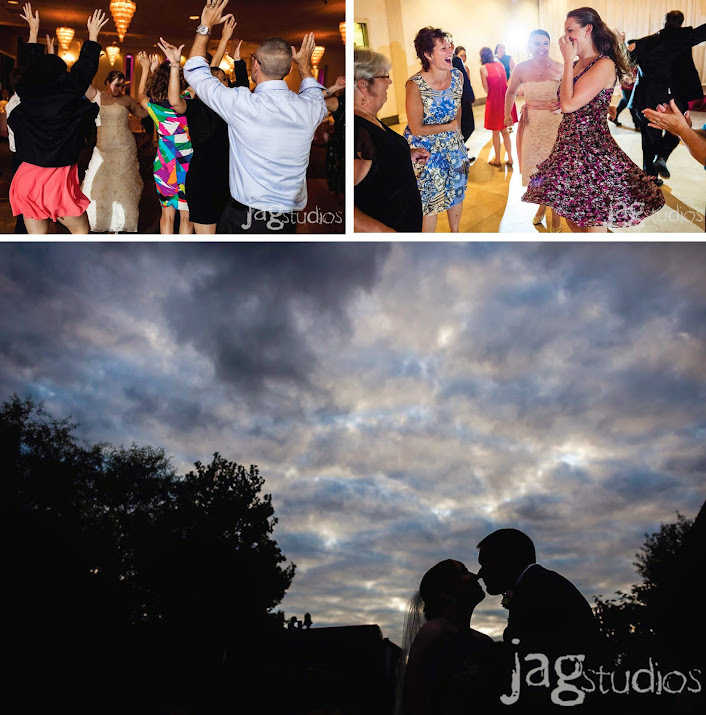 Check out some photos from their day from JAG Studios! Sarah, a pharmacist, and Chris, a first responder, were such a fun couple. They really wanted to include their personalities and professions into the wedding somehow. They did so by including vintage prescription sheets as table numbers and cookie favors that looked like EKG heart monitors and the first aid symbol. They even had a small firefighter axe to cut their cake and a ring pillow made out of a firefighter jacket!